Marimekko's fall/winter collection 2019 will celebrate women writers from the last century and the friendship between Finland and Japan. Favourites among Finnish Design Shop staff include patterns with a natural feel and strong colours which have returned to Nordic interiors. A graphic black and white pattern, designed by Fujiwo Ishimoto in 1981, adorns the Kuiskaus wool-mix throw. 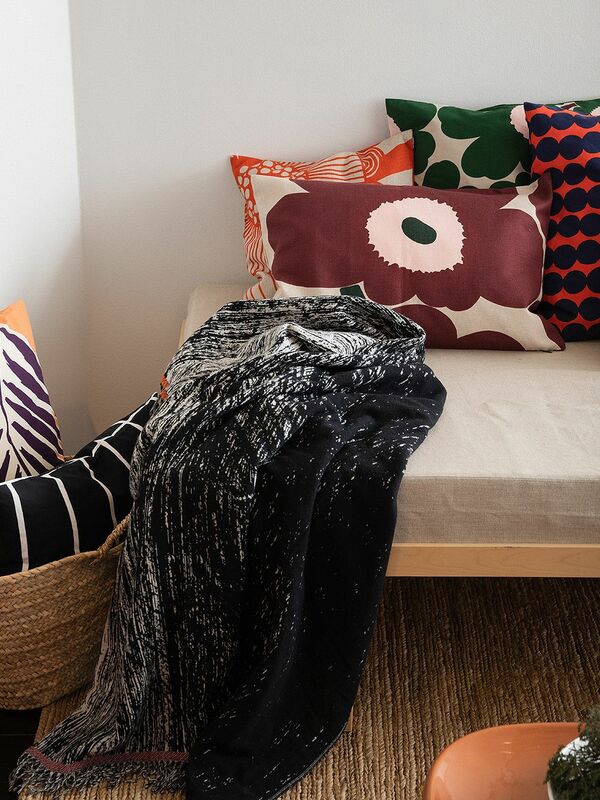 The Unikko cushion cover has radiant shades of maroon, peach and beige. 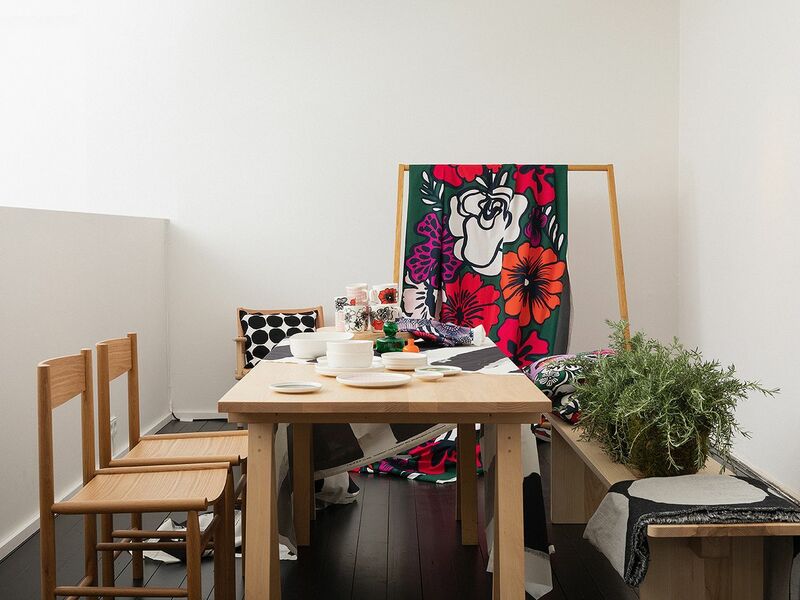 MARIMEKKO'S THEME FOR 2019, 'Bold by nature', explores authenticity and the power of self-expression. 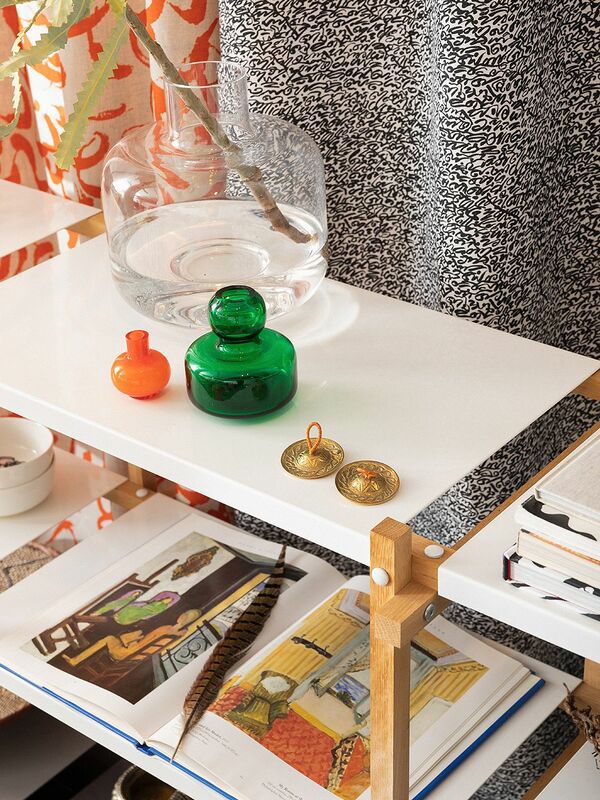 The bohemian home collection for next fall is inspired by the boldness of great twentieth-century women writers in making their voices heard. Rhythmical flower patterns and graphic handwriting have been combined with expressive brush strokes, and the colour palette consists of bold tones such as orange, green and pink. “Some products in the collection have a clear 1980s feel. These include Harha ja Kuiskaus (Rumor and Whisper) by Fujiwo Ishimoto and Päiväkirja (Diary) by Heikki Orvola. 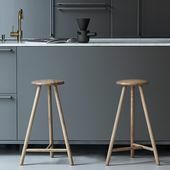 I would include Babassu by Erja Hirvi and Marjaana Virta's new Love cushion, which I think will be a hit product, in the same category”, says Hanna Mäkelä, a buyer at the Finnish Design Shop. Marjaana Virta's Love cushion has the makings of a hit product for the fall. The Siirtolapuutarha linen fabric is ideal as a tablecloth. 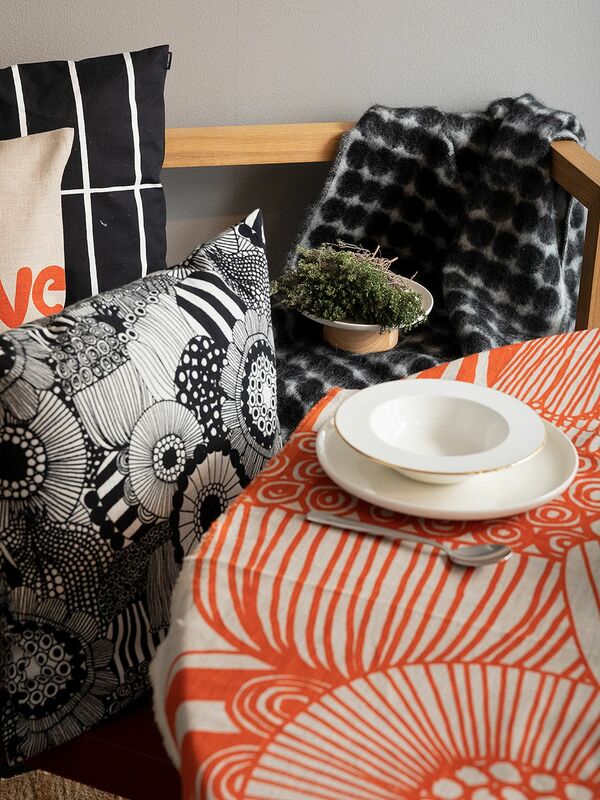 Maija Louekari's popular pattern of 2009 is printed in orange tones on the unbleached linen fabric. The bohemian home collection is inspired by the boldness of great twentieth-century women writers in making their voices heard. The gold-rimmed Oiva Anniversary plate celebrates 10 years of the Oiva collection. A black and white Räsymatto throw, made of a soft mohair and wool blend, can be seen in the background. 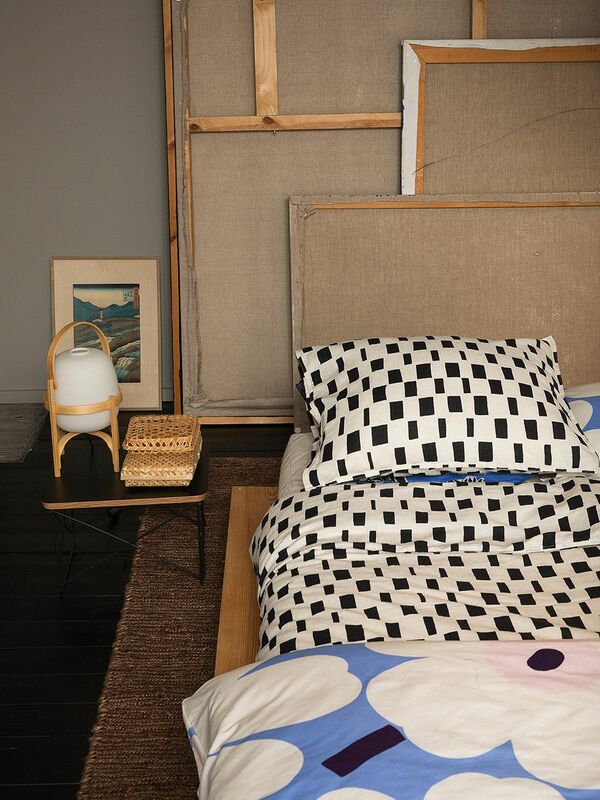 Japanese-style interior design is beautifully complemented by the Iso Noppa duvet cover, with its natural black and white shades. Iso Noppa was created by Eskolin-Nurmesniemi in 1954. The blue and white Unikko duvet cover brings a tranquil ambience to a bedroom. 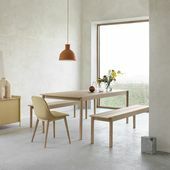 The furniture is complemented by a LTR Occasional table by Vitra and a Cestita table lamp by Santa & Cole. The colour palette consists of bold tones such as orange, green and pink. The latest, warm tones of the popular Mini and Flower vases by Carina Seth Andersson are the perfect match for the clear Ming vase. 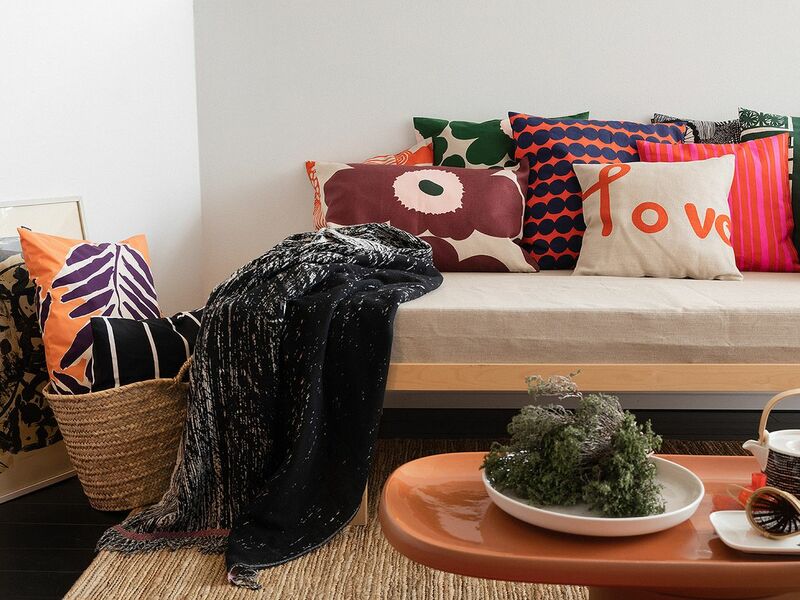 In addition to the Love cushion and Ishimoto's patterns, the biggest hits among Finnish Design Shop staff include Maija Isola's Keisarinkruunu (Crown Imperial) throw, Aino-Maija Metsola's Poronjäkälä (Reindeer Moss) and Ketunmarja (Foxberry) patterns and Vuokko Eskolin-Nurmesniemi's linen duvet covers with the classic Iso Noppa (Big Dice) pattern. A Japanese feel predominates in next winter's collection – its inspiration comes from the cultural friendship between Finland and Japan, as well as their shared respect for nature. 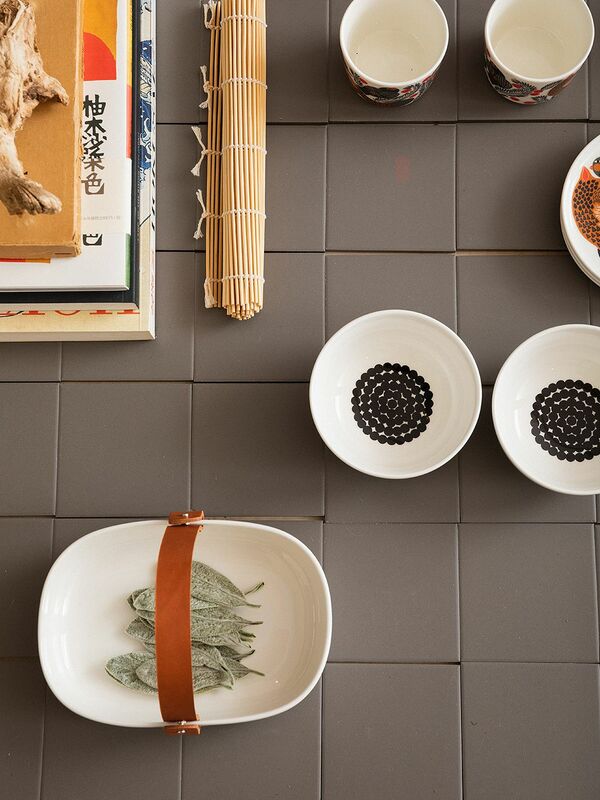 Japanese aesthetics meet Finnish design in items such as the Unikko chopsticks and black Ming vase. The winter collection is filled with red, warm brown and black-and-white colours, and the season is crowned by the vibrant tones of Talvipalatsi (Winter Palace) by Aino-Maija Metsola. Aino-Maija Metsola's Ketunmarja fabric and Carina Seth Andersson's black Ming vase will form part of the Marimekko collection next winter. 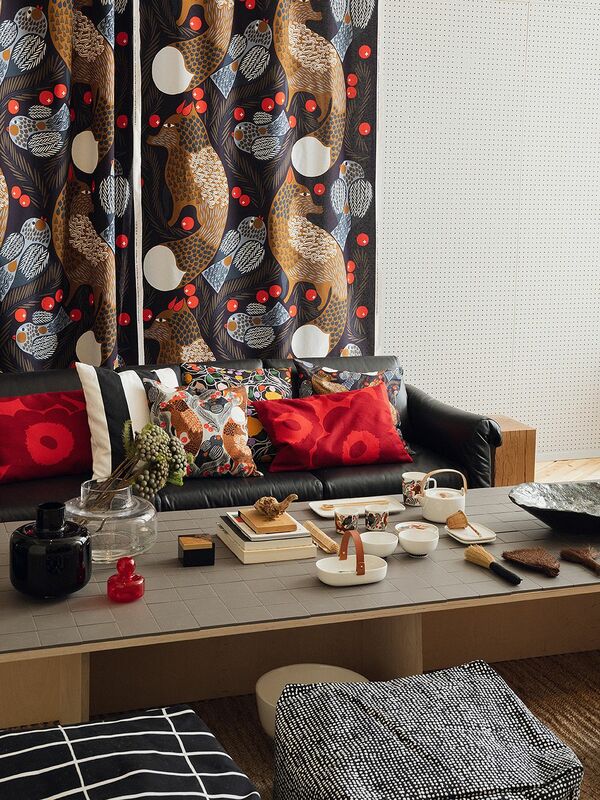 A Japanese feel predominates in Marimekko's winter collection. The Räsymatto mini bowls of the Oiva collection are ideal for serving soy sauce, for example. In addition, the Kuusikossa, Puketti and Ketunmarja patterns will be added to the Oiva collection later in the year. With leather handles, the Pikku Koppa serving dish adds the finishing touch to a personal table setting. 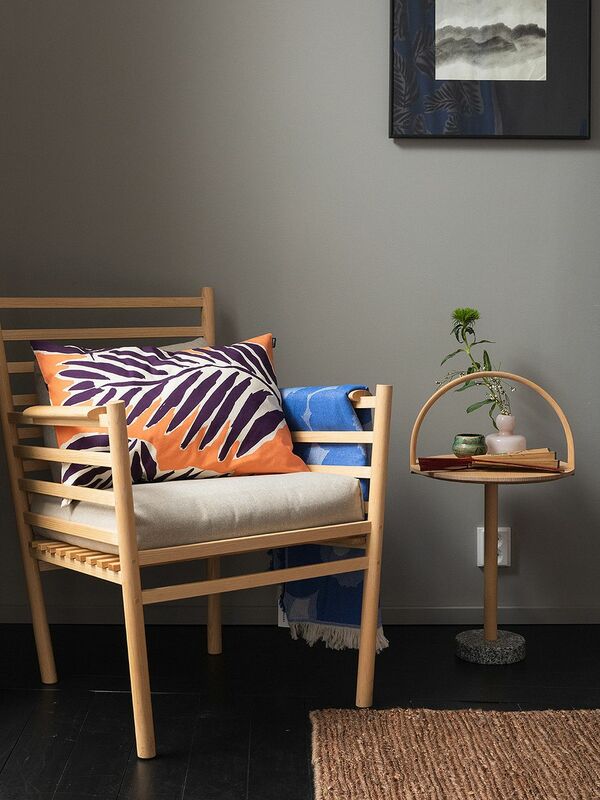 The orange and violet plant pattern on the Babassu cushion by Erja Hirvi evokes the rustle of palm trees and the warm winds of the south. Released in honour of the 10th anniversary of the Siirtolapuutarha pattern, the Eläköön elämä cotton fabric fills the room with a colourful splendour of flowers. 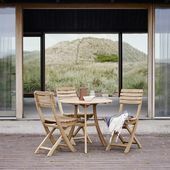 The bench is adorned by Maija Isola's black and white Kivet throw. Rhythmical flower patterns and graphic handwriting have been combined with expressive brush strokes. Maija Louekari's Eläköön elämä pattern has also found its way onto the tableware of the Oiva collection. 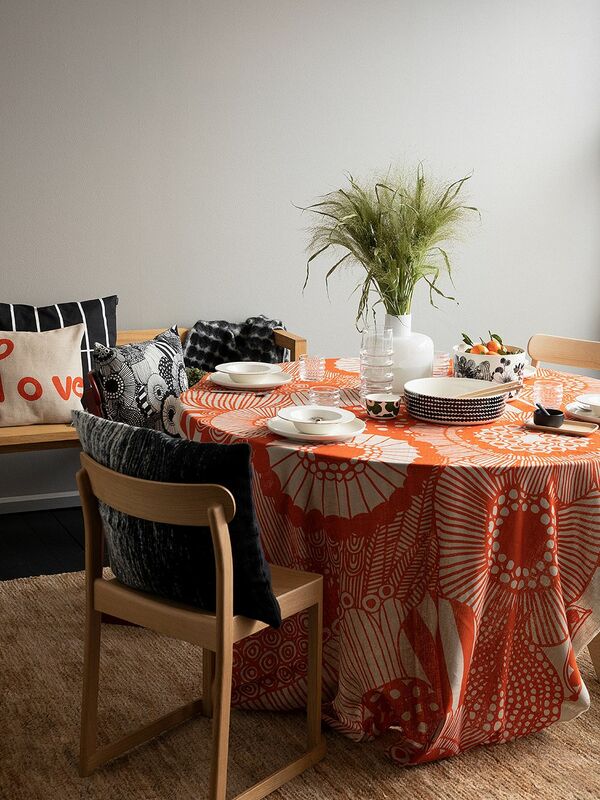 The Tuubiraita cotton fabric by Jenni Tuominen serves as a tablecloth. 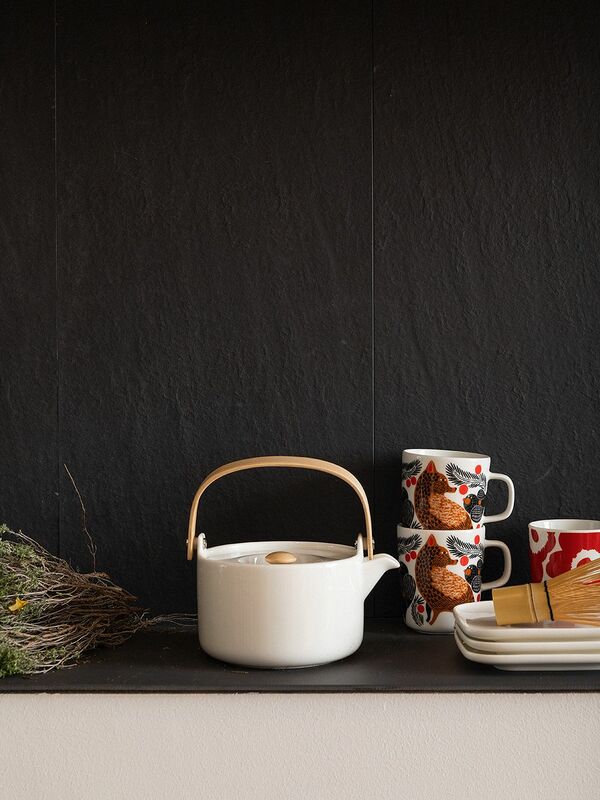 Lively Ketunmarja mugs are accompanied by a modern Marimekko classic, the white Oiva teapot. “Commercially speaking, I also have ongoing faith in the well-loved Kuusikossa (In the Spruce Forest) patterns, now featured in black and white on Oiva tableware. For me, Kuusikossa is an excellent match with the rectangular Oiva plate, and I think the range will be popular in both Finland and Asia. Due to its classic colours, this traditionally festive-season pattern is also perfect for year-round use”, says Hanna Mäkelä. As well as new patterns, new dishes have been added to Sami Ruotsalainen's Oiva dishware collection, which celebrates its 10th anniversary this year. Two serving bowls and a serving dish will join the collection in the fall. 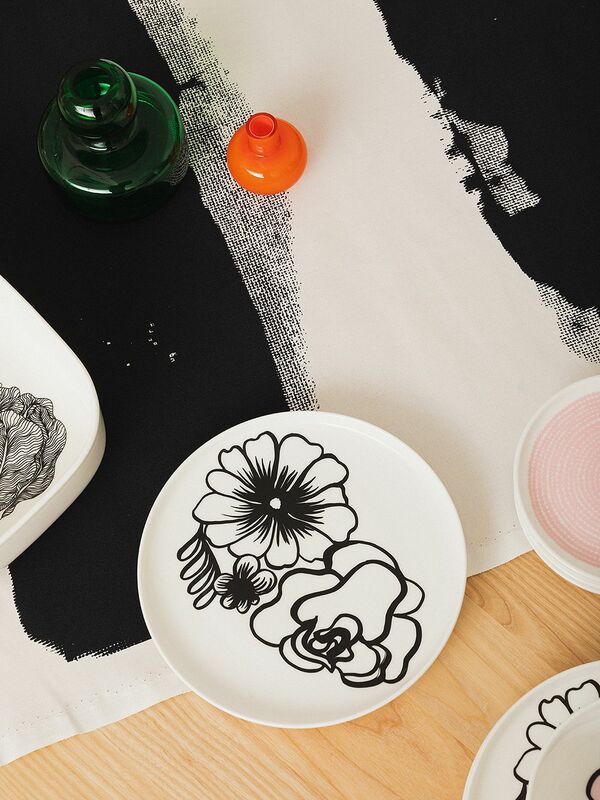 The first products from Marimekko's fall collection will arrive in the Finnish Design Shop in June.